Beginning with the spring 2014 Tour, we are making a few changes to our photography policy at Joe’s shows. Due to a few fans that had a blatant disregard for our previous policy, we unfortunately will no longer be able to allow professional grade SLR cameras with detachable lenses at the show. If found with this style camera at the door, you may be asked to relinquish it until the end of the night or return it to your vehicle. As Joe’s fans we still encourage you to bring your pocket sized point and shoot cameras to take as many pictures as you like, but we ask that you remain in your seat, be considerate to your neighbor and please no flash. Thanks for the news Eric, and for putting it here so we can easily share the new policy with those who ask. I answered this one on the sticky on the main page. I knew it was probably going to happen sooner or later but I am heartbroken over this. You're the first one I thought of, Sandy! Since my second show in 2006 through to my last but one, I have had trusty a DSLR & Lumix with me at nearly all my 50 Joe Shows and have applied through Joe's American office for photo passes for each one. I have shot show set ups, sound checks and special events like Joe and the Paul Kossoff guitar. Photography is my passion and Joe's music has been the driving force behind my desire to produce images that hopefully he or his management could use - completely free of charge. I buy all my tickets for every show, with one exception which was gifted to me. I'm pleased for Joe and his team, that he is doing so well. 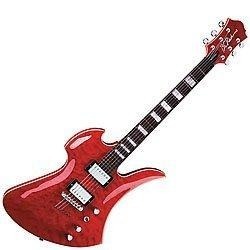 Perhaps it is time for me to move on and use my passion for photography and music to try and help promote other musicians. Is this policy still in effect? The local venue here in Cheyenne Wyoming is saying only cell phone cameras will be allowed, so not even point and shoot now? Perhaps the venue contact, or FAQ entry (if that is what you referenced) are basically prohibiting DLSR "Professional" cameras. I would think in terms of "bulk" and "size" rather than type. If you have a "modern" small point and shoot camera, I highly doubt that it is going to be any kind of an issue. I wouldn't inquire further and just use it. 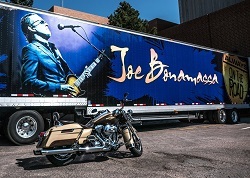 Thank you for asking in advance about photo taking at the Joe Bonamassa event in August. Joe’s management will allow cell phones but do not allow cameras. The last time Joe did come out into the lobby and you may have an opportunity to take a picture then with your camera. Prohibiting cameras has evolved to NO DSLR pro/bulky equipment. Photo passes are not given out anymore except to Joe's hired photographer. Like I said, point and shoot should truly be fine, as long as it is small, the FLASH IS COMPLETELY OFF, and you aren't running down front and parking yourself-right from you seat is really probably ok. Good Luck! That's my plan. I actually have a new very small point and shoot (Lumix ZS100) on order that should work nearly as well as my larger camera. Very compact, silent mode with no flash or AF lamp, 1" sensor and 10x zoom. I'll just stick it in my pocket and carry it in. Don't think I'll have any problem as I certainly won't be disruptive or distracting to my neighbors. A bit of dark film on the display is also good. At the very least I will set the display to its dimmest setting. This camera also has an electronic viewfinder. It blanks the display when held to the eye, or I can set it to turn the display off and use only the EVF. I'll do some experimenting first, but EVF only may be the way to go. I wouldn't worry excessively if you are indeed snapping photos and not video...no need for apprehension overload. Enjoy!